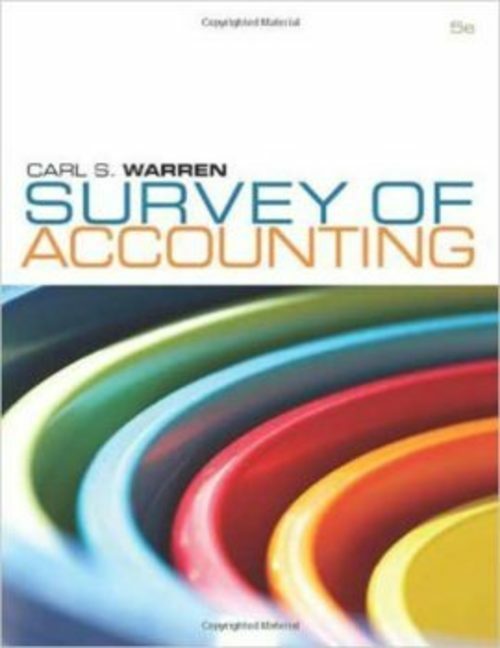 SURVEY OF ACCOUNTING, 5E provides an overview of the basic topics for financial and managerial accounting, without emphasizing the use of debits and credits. Written for students who have no prior knowledge of accounting, this text emphasizes how accounting reports are used by managers, investors, and other business stakeholders. The unique Integrated Financial Statement Framework shows how transactions impact the three primary financial statements, showing the integrated nature of accounting. The Fifth Edition offers CengageNOW to help you complete homework and track your progress online.